Tea Party - New Releases June-August 2016 from CQ Authors -- Join us as we "Time Slip" through a wonderful Tea Party! Sit Down to our Virtual Tea Party At The Grand Hotel! We're in 1895 for this novel! 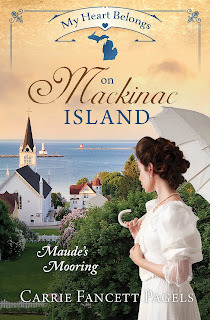 My Heart Belongs on Mackinac Island: Maude's Mooring (Barbour Publishing, July 2017), received a Top Pick from Romantic Times Book Reviews for July! 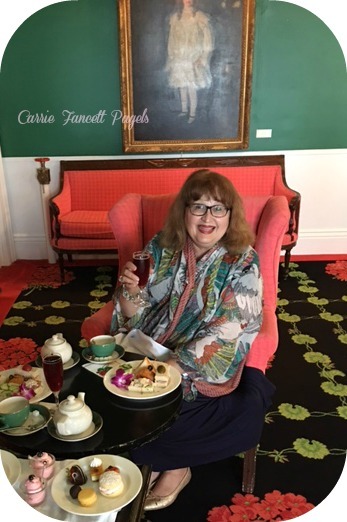 ECPA-bestselling author Carrie Fancett Pagels, Ph.D., is the award-winning author of fifteen Christian historical romances. Twenty-five years as a psychologist didn't "cure" her overactive imagination! 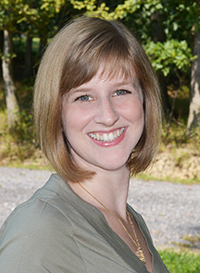 A self-professed “history geek,” she resides with her family in the Historic Triangle of Virginia but grew up as a “Yooper.” Carrie loves to read, bake, bead, and travel – but not all at the same time! Sign up for her newsletter here. Tea Time Table Top at the Grand Hotel -- Sit down and enjoy with our authors! Set immediately after the Civil War, in Kansas. Seven Brides for Seven Mail-Order Husbands a Two-time ECPA Bestseller (so far!) 2017. Released in June from Barbour Publishing. This collection is set in a single location with stories revolving around a husband-acquiring scheme. Includes novellas from Carrie Fancett Pagels and Gina Welborn (CQ/CACW members) as well as stories from Cynthia Hickey, Susan Page Davis, Susanne Dietze, Darlene Franklin, and Patti Smith Hall. 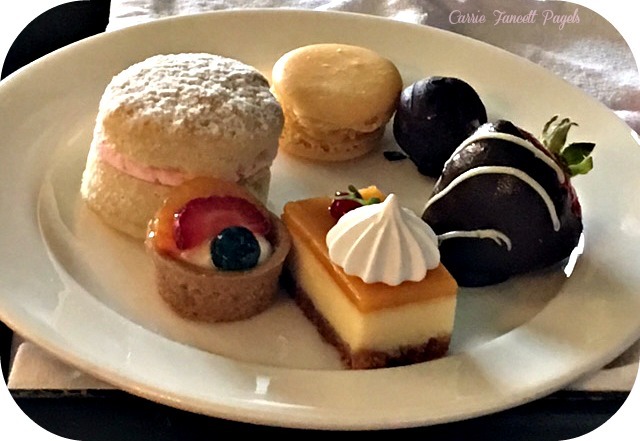 Tea Time Treats from the Grand Hotel -- They're delicious! Help yourself! And now we've slipped to 1914, Cornwall, England--on the brink of the first World War. A tale of a thief out to steal the name of a reclusive gentleman of German descent, A Name Unknown released from Bethany House in July and was also a Top Pick from RT Book Reviews! Roseanna M. White is the author of over a dozen novels, ranging from biblical fiction to Edwardian tales of romance and suspense. When not writing, she's homeschooling her two children, editing and designing, and pretending her house will clean itself. She and her family make their home in the beautiful mountains of West Virginia. 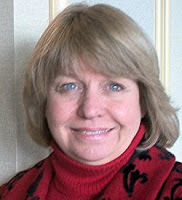 Check out more about her, her books, and get signed copies through her shop at www.RoseannaMWhite.com. 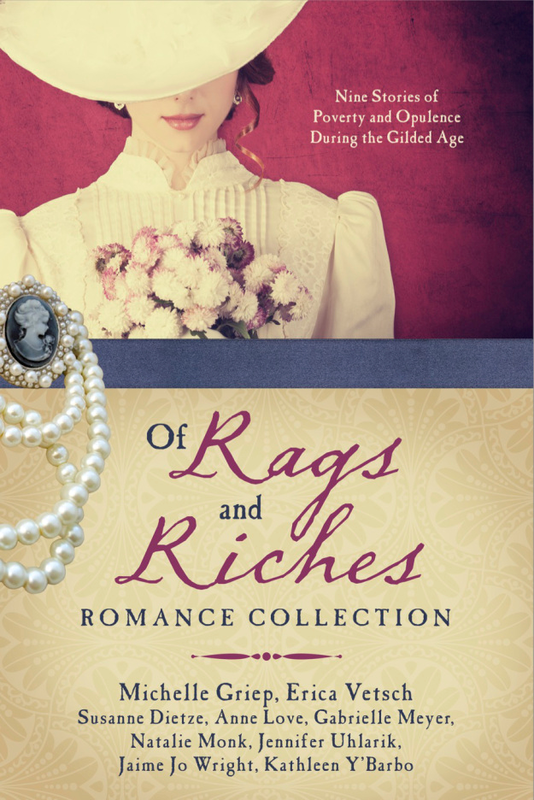 Of Rags and Riches Romance Collection, recently on the ECPA Bestseller list, released in July 2017 from Barbour Publishers. This collection features stories by Gabrielle Meyer, Michelle Griep, Erica Vetsch, Suzie Dietze, Anne Love, Natalie Monk, Jennifer Uhlarick, Jaime Jo Wright, and Kathleen Y'Barbo. 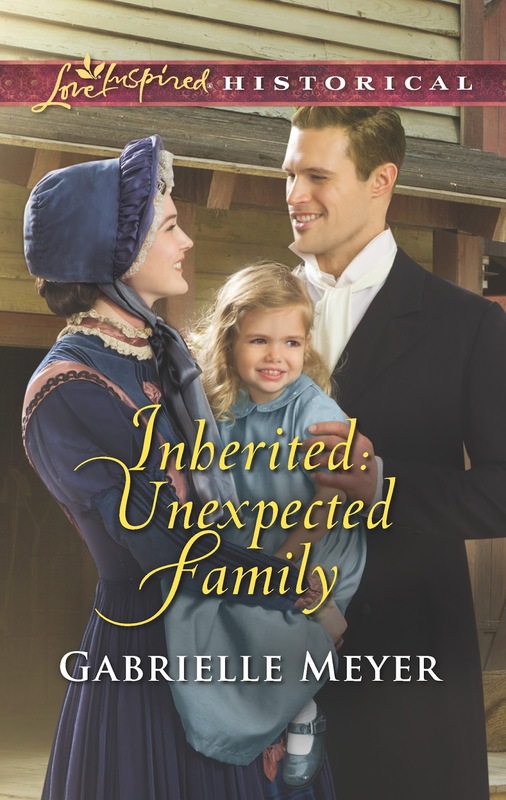 Inherited: Unexpected Family released in August 2017 from Love Inspired Historical and was given a four star review from RT. This is the second in the Little Falls Legacy series. After arriving in Minnesota Territory with her sisters to claim their late father's hotel, Elizabeth Bell is shocked to learn her inheritance comes with a handsome co-owner. After too long working for a domineering boss, Elizabeth yearns to be in control—of the hotel and her life. But Jude Allen won't sell his share, and Elizabeth refuses to leave. Rescuing soiled doves and giving them hotel jobs is Jude's way of redeeming his past. He's counting on rough frontier life driving his new business partner away before she learns the scandalous truth and demands he stop his mission. But he may have underestimated Elizabeth…and the power of love to turn a complication into a bright new beginning. Gabrielle Meyer lives on the banks of the Mississippi River with her husband and four children. As an employee of the Minnesota Historical Society, she fell in love with the rich history of her state and enjoys writing fictional stories inspired by real people, places, and events. 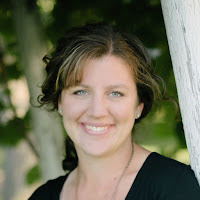 Her next book, The Gift of Twins, will release in December with Love Inspired Historical. To learn more, visit www.gabriellemeyer.com, or join her on Facebook here, and be sure to sign up for her newsletter here. Have some tea! What kind would you like? We have a large assortment! 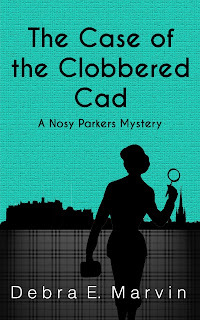 THE CASE OF THE CLOBBERED CAD! We've Time Slipped ahead to 1911 to this new novella from Vicki. 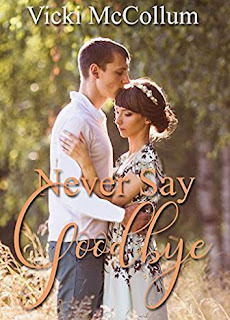 Never Say Goodbye is available in Kindle format. In 1911, Maddie Smith travels from Chicago to Yellowstone National Park with her sister to visit Lucy’s fiancé, a park photographer. They arrive to find him missing. Maddie joins Captain Cole Rawlings on his search for the missing fiancé, despite his adamant resistance. Never Say Goodbye is a National Park Romance Novella collection by Forget Me Not Romances. Congress established Yellowstone as the world’s first National Park in 1872. It is home to 67 species of mammals, including the grizzly bear, the endangered gray wolf, and now 5,000 American buffalo, returned to the park from only 25 in the early 1900s. The Park draws over 3 million visitors annually, encompasses 2.2 million acres, and boasts 250 active geysers. Do join us all for Tea Time! We have a Facebook party from 5-7 PM Friday night, August 18th (click here) so stop by to chat with authors. Also, please leave comments on this blog post for our giveaways! 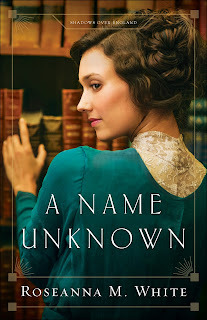 GIVEAWAYS: Roseanna is giving away a copy of A Name Unknown. Gabrielle is giving away a copy of Of Rags and Riches and Inherited: Unexpected Family. Carrie is giving away A copy of Seven Brides for Seven Mail-Order Husbands and My Heart Belongs on Mackinac Island: Maude's Mooring. 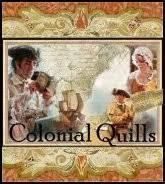 Three (3) give away copies of Never Say Goodbye to three readers who comment on Colonial Quills Blog! Leave a comment on this post to enter! 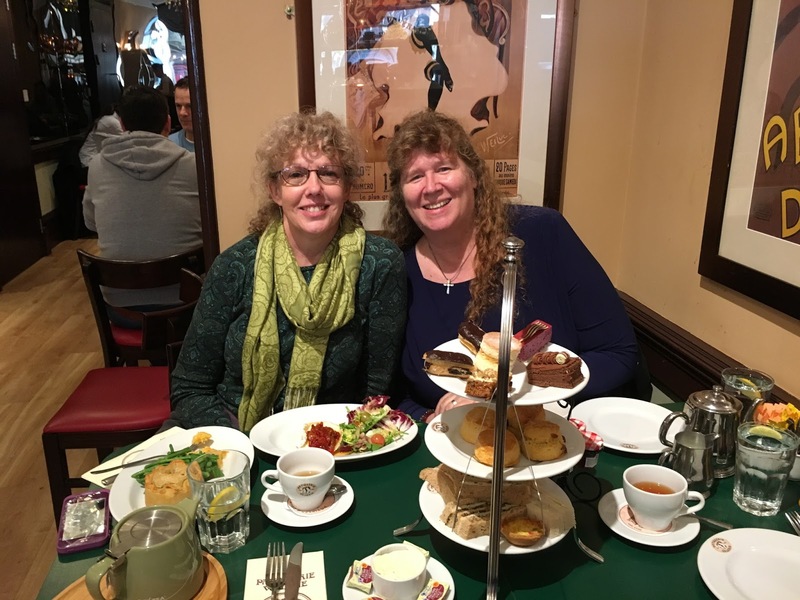 We hope you'll enjoy this high tea at the Grand Hotel and the Time Slip around to the various time periods of these stories by our Colonial Quills contributors! I'm excited about the Tea Party later today and plan to attend! :) All of these stories sound wonderful. 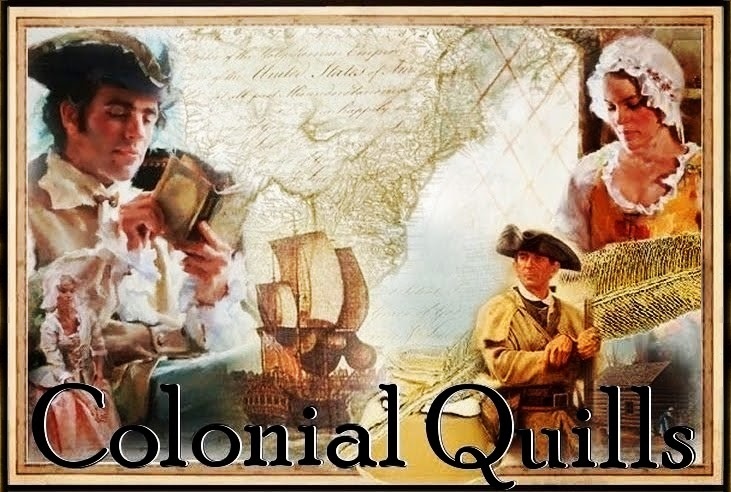 Congratulations to all the Colonial Quills Authors. Thanks, Patti Jo! and see you later today, as well! Thanks, PattiJo! Would you like some green or black tea or maybe chamomile or mint? Happy to see you here! This sounds like lot of fun! I do love tea. Thanks Perrianne! We have such a wonderful collection of new releases this month! And I hope you take a treat along with your tea! Love your name, Perrianne! 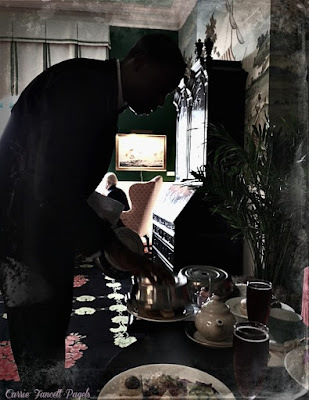 Would you like our Grand Hotel server to pour you some more tea? Good morning ladies!! No place I'd rather be - having tea at the Grand Hotel, two of my very fave things/places. Joining Carrie now in one of those pink chairs around the table of goodies!! The water is beautiful - so are the flowers. Congrats, ladies on each of your recent literary accomplishments and thanks for inviting me to celebrate with you!! Looking forward to reading each of your novels/novellas!! Thank you Bonnie! I'm so pleased to have finally met you this past weekend and I'm glad you're visiting today as we celebrate...virtually! Debra, it was such a pleasure to meet you also - thanks for being a part of CFRR 2017!! Hope to see you there in 2018!! Hi Angel Bonnie! 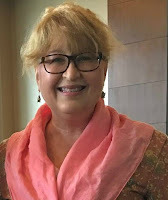 so glad you and Deb got to connect at CFRR! Hugs back - Patti Jo!! Missed you at this year's CFRR, perhaps next year?? I have the books by Carrie, Roseanna, Debra and Gabrielle( the anthology) and havecread three of them. They are all excellent in their own way! Good going ladies! Paula, I'm not surprised. Your long time encouragement is appreciated! Hey Paula! Sit down and try those yummy sweets from the Grand Hotel! Sure to spoil your appetite for dinner! Hugs! This lovely tea party with its many wonderful books is a welcome respite from the heat and humidity today here in Richmond, Virginia. Congratulations, ladies, for writing such wonderful books that are sure to provide readers with many contented hours. Best wishes for future success! Thanks Cynthia! upstate NY has had lovely low-humidity for a couple of weeks now. Beautiful weather, but today? So uncomfortable. Must be much nicer at the Grand Hotel! those big lake breezes! It's like a sauna in Yorktown. Luckily, in virtual Mackinac Island, it's lovely! Let's try iced tea for you, Cynthia! Uncomfortable here in Ky. also, glad for those lake breezes at the Grand Hotel!! The treats look so yummy! I believe I'll have some black tea to go with them. Please don't enter me in the giveaway. I would just like to wish each of you Good Luck with your wonderful books! Hi Andrea! If you win and already have the book, I bet the authors would substitute out another upcoming book innate! Thanks for being a great Beta reader and also for guest reviewing on Overcoming with God blog! Thanks so much Andrea! It was wonderful to meet you and it was relaxing to be able to chat at CFRR! Thank you, Carrie. I love being on your team. I've won several books recently, including Gabrielle's. I think it's only fair to give others a chance this time. I'll enter the next one. CONGRATULATIONS Carrie, Debra, Gabe, Gina, Roseanna and Vicki on your releases! Hi Caryl! thanks for joining us at the virtual Grand Hotel! Come sit down with me and catch me up! And THANKS again for letting me borrow your name for my heroine in Dime Novel Suitor in Seven Brides for Seven Mail-Order Husbands! Thanks Caryl! I'm enjoying the 'virtual' part and hope to visit in person. It's on my list! Waving hi to all of you ladies! Congratulations on your releases! I'm so excited for each of you. Hi Susie! Thanks so much! 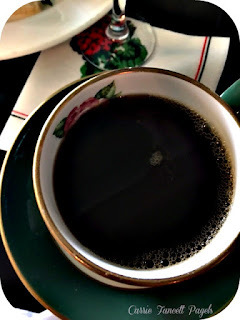 I found SO many great teas in Mackinaw City at the amazing bakery near our rental house! Hugs! Thanks Susie! I feel like I should be wearing white gloves all of a sudden. Must rush out before the FB party. ha ha! I love these tea parties although I'm always a little disappointed I can only think about eating the delicious goodies lol. I would really enjoy reading the books listed. Thanks for saying hi! I have a problem with seeing chocolate cake on my facebook feed. I see it and I want some. It's tough to stick to a diet at those times. Congratulations ladies on your books. I will try to make it to the party, but it falls at supper time for us. I pray it is blessed. Would love to have real tea with you all. I'll likely be thinking of food throughout and I'll have to leave in the middle of it all myself, but I hope you can pop in for a moment. What part of the country are you in? Thanks, Leila! Glad you were able to pop by! hugs! Everything looks delicious! Congratulations to all. Lots of carbs, that's for sure! I ate scones in every location I could in Scotland and Ireland and I loved them all. Hi Cindy! Thanks! 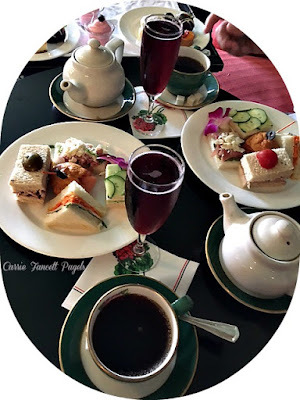 I hope you'll enjoy the high tea -- and there are no calories at all! Blessings! Love scones with lemon curd, Debra!! Congratulations, Kay! That's amazing, and quite a blessing. It's always great to see you as you are so good about coming to our little parties! Enjoy that new baby! Wow, Kay that's so exciting to become a great-grandmother! Congrats! Oh my, there are so many wonderful titles mentioned here. I read (and loved!) Mackinac Island and I am now at the beginning of The Clobbered Cad (and loving it also). I would be thrilled to win any of the other titles and I look forward to the party. Ha ha. No question we are blessed, right? Thanks Connie. We have some wonderful new releases this summer, and I'm glad you're enjoying them! Hi Connie! so glad you loved Maude's story! Isn't The Clobbered Cad a great title? Come sit down and try the oolong tea! What a festival of treats, for the eye, for the mind, for the palate! I'll just have a cup of green tea and one of those delectable looking chocolate covered dainties. You just lengthened my TBR list. I'll have to live to be 147 to get them all read. But what pleasures await. Thanks for the invitation. Hope you have a wonderful turn-out. Now I have to go looking for that chocolate you mentioned! Hi Judith! Glad to have you here! The chocolate is over on the side table but I see the waiter bringing you some now! And here comes our tea pourer now! With green tea! Blessings! Congratulations on all the wonderful new releases this summer! My goodness, I will definitely need several treats and more than one cup of tea in order to peruse them all.....lol. Thanks so much for the chance to read those I haven't already read. I loved walking and cycling the lanes of Mackinac Island with Maude and I was very happy with the ladies of Turtle Springs. Looking forward to the opportunity to read some or all of the rest of these wonderful releases! Hi Betti! Yes, come sit down and enjoy the sandwiches and the sweets with some tea! Always enjoy these parties! Congrats on all the new releases! We enjoy having them, Ashley! Thanks for coming by! Tea? Hi Ashley! Always nice to see you! CQ Tea parties are the best! Congrats on the new releases...I've read a couple and they all sound excellent! Hi Teri! Thanks! Hey aren't those little cucumber sandwiches wonderful? Chappy Debbie enters.....Congratulations to all the wonderful authors.I totally forgot that the parties happen here, too. Sorry, flaked out a bit. Been moving and my head is spinning. I think I need to sit down and have something to eat and drink. Any suggestions? Come over here to one of the plush comfy over-stuffed couches in the Parlor, Chappy! And we'll have the server bring your tea and a nice plate of goodies! I suggest first the sandwiches, and some of the sparkling juice, then try the little tarts and the raspberry mousse! And save that yummy dark chocolate strawberry for last! Thanks so much, Janet! I hope you'll love Maude's story and I'm praying you and I will be able to hang out together in Michigan some time! Hugs! Thank you for coming to both parts of our celebration, Marguerite! It was nice to see you! Wow, lots of wonderful books. Congrats to all the authors! Oh, my, the tea party looks so good. I believe I'll sit and partake of the dainties! I would love some mint tea, thank you! Raspberry mousse, yum! Thanks for the party both here and on FB. Thank you for visiting both parts of our event, Robbye! It means a lot! I loved A Name Unknown! Some of the books look and sound great, too! I love having these parties but it seems like they aren't often enough. Why don't get a message on FB when you have these? I just happened to be reading the posts on my page and ran across this from an author that posted it.I'd like to know about these before they start. Any reason why I don't? I have no idea. I know that I get very frustrated trying to do the invites on FB as it takes so long to scroll through names (it's probably my computer)! But it's hard to believe you didn't get a direct invite from one of us as you are always part of our parties! I wonder why? Thankfully you found us! Hi Beverly Duell-Moore! congrats! You've won one of my books. I'm trying to get in touch with you. You won't get direct notification unless one of the authors specifically invites you. Because FB doesn't like authors to do "too many" invites we often post on our own walls and hope our friends see about the party! Blessings! Love all the novels on this month's Tea Party, Carrie! Thanks for hosting it! Hi Vicki, This was a lovely party. Thanks for being part of it! Congrats on your new release! Afternoon ladies! What a grand (I can see where the Grand Hotel gets its name) and beautiful place to have a tea party! The view of the water is beautiful! The Tea Time Treats look delicious, I will try one with a cup of Lady Grey, please. Congratulations authors on your books and novellas! I have read 3 of these wonderful books listed above. I have a couple of others on my very loooong TBR list and will need to add a couple more to it. P.S. I love CQ Tea Parties! However, I won't be at the facebook party this evening to celebrate due to a migraine (day 3) but wanted to at least stop in and congratulate everyone. Tina said she wouldn't but then she showed up anyway. Such a trooper. I hope that some sleep and then you'll wake up relieved. So many people with headaches today! Congratulations ladies on your new book and novellas released within the past few months.The publishing companies do such a fine job with choosing covers. I'll admit covers do influence me whether I want to pick up a book for a second look or not.It's wonderful to see all you fine authors gathered here today for our tea party. I am enjoying it. Again authors, congratulations! Yes, covers are so important. Our mystery covers really had to evoke that 50s feel and a bit of Nancy Drew, too. thanks Deanne! I'm having a great time at the party today. Thanks for writing books that take me to different time periods . my head is still spinning Deana! I'm glad you enjoyed it. A little more chaotic than usual at the FB party but it's always nice to see our friends! Thank you for commenting! Everyone looks lovely. Pardon my casual attire. I've been moving into a new place, with no time to rest. I pray that everyone is well. What a great line up of books. I've already read both of Carrie's stories. 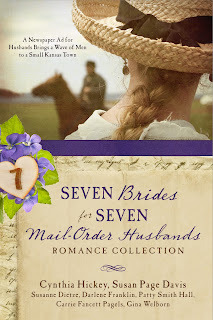 I'm still working on some of the others in 7 Brides for 7 Mail Order Husbands. I also loved Roseanna's book, A Name Unknown. The others all look fabulous. Thanks for the opportunity to win one of the books I haven't read yet (Gabrielle's books and Never Say Goodbye). Debbie, send me your email address through Facebook message on the facebook tea party page and I will send you a copy of my novella, Never Say Goodbye! So thrilled for new readers! Congratulations, Debbie! Thanks for being such a faithful follower of our parties! Please send me a message with your email address on the tea party facebook page so I can send you the novella! Thank you for participating in the party! This was fun ladies. I must run because my grandkids are visiting. Hugs to all! Great having you visit with us, Chappy! Your grandkids are blessed! Congratulations ladies on your new book releases! I'm a little late to the party, but I just wanted to give you my best wishes! Thanks, Carla! Looking forward to your upcoming release! Great lineup for the party today! Great releases! Hi Nancy-- I'm so happy to be with this fine group. Thanks, Nancy! So glad to see you here! Each of the novels/novellas has a wonderful story line and the food at the tea was delicious!! Thanks for coming to the party, Angel Bonnie! Hugs!